"Atlanta's Leading Residential & Commercial Installation Contractors"
*This offer excludes specials, packages, discounts and/or coupons. 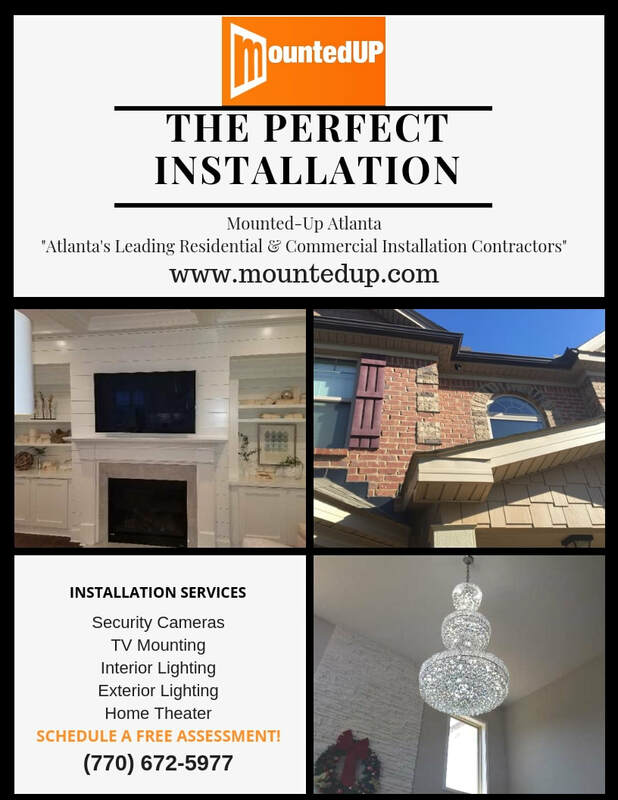 Mounted Up is Atlanta's Leading Residential & Commercial Installation Contractors. We specialize in low voltage installation, wiring and repair services. We service residential and commercial clients in Atlanta and all surrounding metro areas. ​ We offer competitive pricing and a wide variety of services, so our clients can get everything they need in one place. Mounted Up Atlanta is affordable, reliable and customer-approved. TELL US ABOUT YOUR MOUNTED-UP EXPERIENCE! All Mounted Up Technicians are background screened and are certified. ​Mounted Up is Atlanta's Leading Low Voltage Service Providers. We specialize in installation, wiring and repair services. We service residential and commercial clients in Atlanta and all surrounding metro areas. We offer competitive pricing and a wide variety of services so our clients can get everything they need in one place. 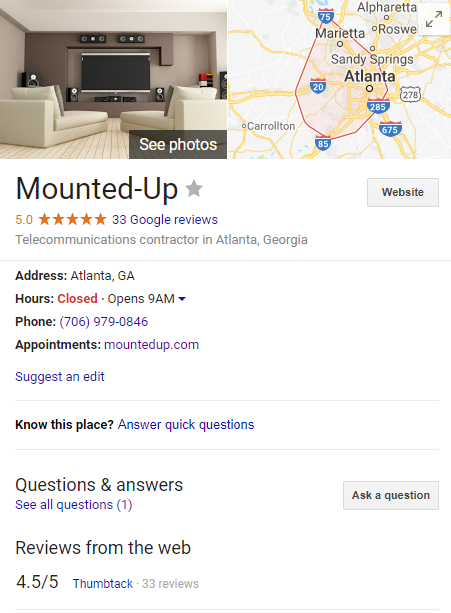 Mounted Up Atlanta is affordable, reliable and customer-approved. We would love to speak with you. Call us today for a free estimate!